The mountain environment is home to some 800 million people representing around 12% of the world’s population. Mountains provide freshwater for billions of people across the planet in every continent. They are powerful and imperious. Yet at the same time incredibly and increasingly fragile. Global warming and climate change has made the weather unpredictable and is changing our landscape. It has a critical impact on the biodiversity of mountain regions, on the lives of mountain communities and ultimately on the future of the planet. Through its presence at major international conventions and its projects in sustainability, the UIAA aims to encourage all mountain stakeholders to engage in concrete measures to mitigate and adapt to climate change effects. Owing to their altitude, slope and orientation to the sun, mountain ecosystems are easily disrupted by variations in climate. Many scientists believe that the changes occurring in mountain ecosystems provide an early glimpse of what could come to pass in lowland environments. The mountains therefore are dually the areas most at risk and those most capable of providing answers to the dangers posed by climate change. 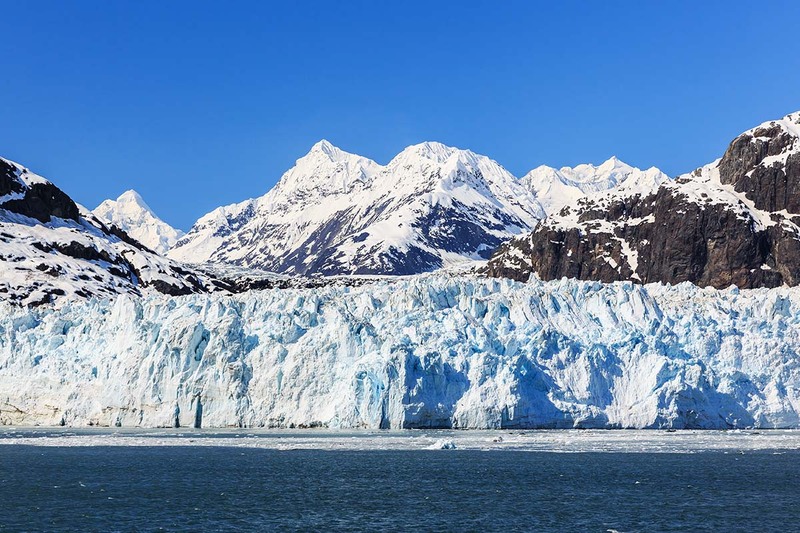 Over the past hundred years, mountain glaciers have continued to melt at an alarming and unprecedented rate creating a devastating impact on the plants, animals and mountain people in their vicinity. The negative effects of climate change though stretch beyond the immediate mountain environment. The mountains are global ‘water towers’ supplying lower lying areas including vast urban regions and populations. This continued and relentless melting of mountain areas will alter discharge and flow patterns and the availability of water at key times in locations across the world. Food security and biodiversity will be challenged to its fullest. The emptying of water supplies will create a vast humanitarian crisis and political problems. Furthermore, continued climate change in the mountains – regressing glaciers, melting snow layers, the raising of the permafrost height, the intensification of the erosion processes, the resulting changes in ecosystems of high altitude, the structural failures and physical disintegration of rocks – are likely to increase the rate of natural hazards and disasters. • Promoting a sustainable mountain regions development, as well as the awareness and education of sustainable environmental practices through the annual UIAA Mountain Protection Award project. • The preservation of the mountain environment in its natural state by supporting concrete actions taken by UIAA member federations and through mountain clean-up events organised through the UIAA Respect the Mountains programme. • Encouraging the adoption and respect by all mountain stakeholders of the agreed international declarations, including the UIAA’s own guidelines and charters, in order to preserve mountain ecosystems and cultures. • On a practical level, many UIAA member federations are already actively helping to reduce impact, notably by implementing and encouraging carbon offset programmes and in soft mobility schemes when travelling to mountain activities. 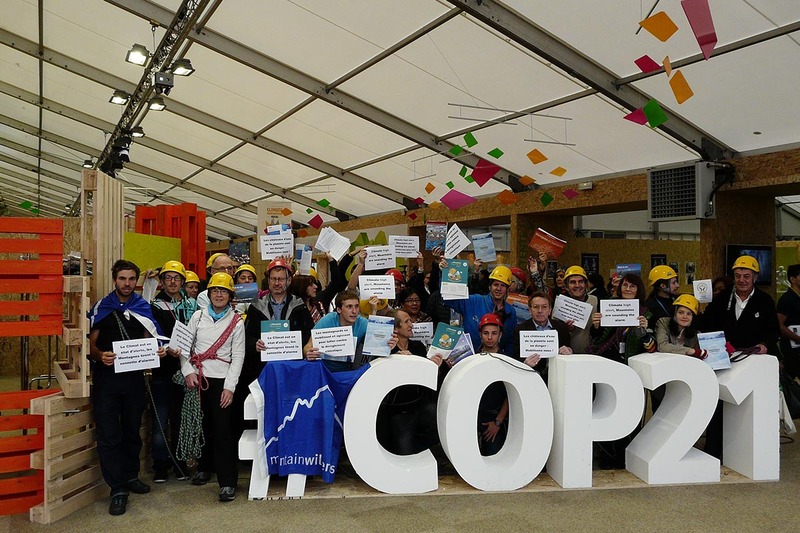 In 2015, the UIAA was present at COP21, the United Nations Framework Convention on Climate Change. Together with experts the UIAA proposed a ‘Declaration on Mountain Change for COP21, ensuring the vulnerability of mountains be recognised in the final Paris Accord’. The Declaration was circulated to international organizations to be signed and to States to be promoted and supported in the negotiation sessions. 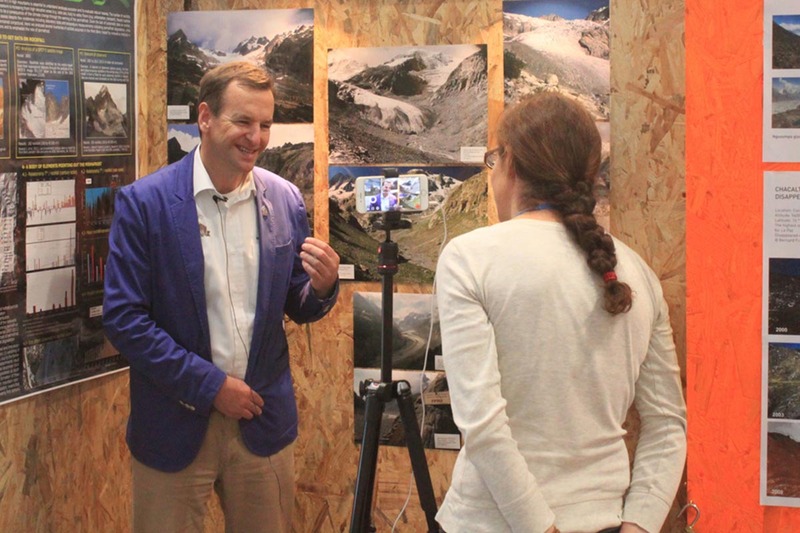 In addition to its work on the declaration, the UIAA were present on site managing the Call from the Mountains booth which provided international media, visitors and delegates with the opportunity to discuss the devastating effects of climate change in the mountains. During an international media open day on 4 December, Frits Vrijlandt, President of the UIAA and Ang Tshering Sherpa (President of the Nepal Mountaineering Association) were available for interviews or informal discussions regarding the impact of climate change on mountain regions. The full address by Mr Ang Tshering Sherpa regarding the current impact of climate change in Nepal can be viewed here. The declarations related to climate change and the mountains can be viewed here (Declaration 1) and here (Declaration 2).